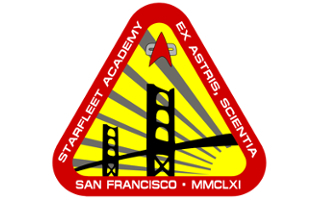 ST:ACTD Academy | Think you've got what it takes to join Starfleet? The Academy offers cadets state of the art facilities to foster collaboration between officers. Academy Cadets are encouraged to form discussion groups and make new friends that will last a life time. These Cadets are discussing a solution to a complex problem. The Academy grounds are located in beautiful San Francisco, California. It's minutes away from the beach. Starfleet Academy has some of the best instructors in the quadrant. Instructors encourages hands on training. Upon the completion of the training courses, Cadets are assigned a position in the fleet. These cadets are awaiting their final examination results and assignments. Think you've got what it takes to join Starfleet? Welcome to Starfleet Academy. The finest school in the quadrant that will teach you the essential skills needed to join the ranks of Starfleet. We offer many different types of training to make sure that you are prepare for the unknown. Each and every one of our Cadets know the duty and responsibilities that comes along with being a Starfleet Officer. Our responsibility as Instructors at the Academy is to ensure that you are prepared for them. If you are interested in enlisting in the Academy, please check out our admission page for more information. 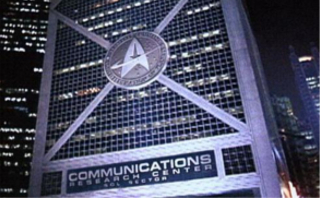 This site is maintained by Star Trek: A Call to Duty Roleplaying as our site for training new cadets. Star Trek: A Call To Duty is the first online role-playing game ever endorsed by Paramount Digital Entertainment! Played by hundreds of people worldwide, you start in the role of a Starfleet Cadet, graduate from the three-week Academy Training missions as an Ensign, and join the crew of any of our starships or stations in the ST:ACTD Fleet. Star Trek: A Call To Duty is one of the most versatile Role-play games on the internet, offering players the chance to assume the role of a Starfleet Officer using a variety of methods. Star Trek: A Call To Duty is the first online role-playing game ever endorsed by Paramount Digital Entertainment! Curious on what’s going on around the fleet? Click here for our Federation News Service. This page will keep you up to speed with all the news that is happening in the fleets.